Back in December, we announced that the Ada Initiative was looking for a new Executive Director. Three months and more than 130 amazing applications later, we are happy to announce that we have found her! On Monday, Crystal Huff will be the Ada Initiative’s new Executive Director, leading us in our mission to support women in open technology and culture. Crystal has a long history of both professional and volunteer work in various parts of open technology and culture, with a particular commitment to anti-harassment work. She takes the place of our former Executive Director and co-founder, Valerie Aurora, who is staying with the Ada Initiative as Director of Training in charge of Ally Skills Workshops and similar classes. Under Crystal’s leadership, the Ada Initiative’s programs will continue to grow in reach and impact, while staying focused on women in open tech/culture and anti-harassment. Keep reading to learn more about our new director and the Ada Initiative’s plans! Crystal combines executive experience from both the software industry and the science fiction and fantasy community. She served as the Chief Coherence Officer of Luminoso, a Boston-area startup building text analytics software that actively open sources some of its software. Her duties included establishing company policies, coordinating the hiring process during a period of high company growth, helping raise several million dollars in two rounds of funding, and serving as Scrum Master for the company’s Agile software development process. On the science fiction and fantasy side, Crystal has chaired or held key leadership positions with many volunteer-run SF&F conventions, including Readercon, a literary convention in its 26th year, and Arisia, New England’s largest and most diverse science fiction and fantasy convention. She is also an American representative on the executive board for the Helsinki bid for WorldCon in 2017, working with over 200 volunteers from 26 countries. Crystal has a long history of anti-harassment work, including speaking about and advocating for anti-harassment policies at conventions worldwide. Her highest profile work was as the chair of the Readercon convention committee (concom) in 2012. A well-known member of the SF&F community harassed an attendee at the event and the Readercon board failed to enforce the con’s published anti-harassment policy. In partnership with Rose Fox, Crystal led the Readercon concom through a process of accountability and reform that resulted in a public apology, significant changes to the organization, and successful Readercon conventions in the years since. Their clear, honest, comprehensive public statement detailing their response is recommended reading for any organization serious about handling harassment well. 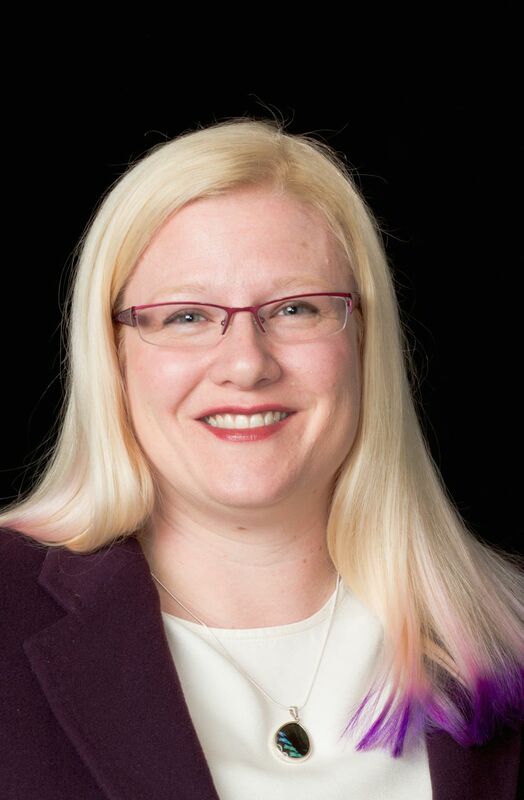 Crystal’s experience, qualifications, and demonstrated passion for our core mission are why we are incredibly excited to announce her joining the Ada Initiative as our new Executive Director! Crystal will continue to live and work in Boston, Massachusetts, USA, a well-known technology hub, and travel worldwide to spend time with women in open technology and culture and the people who support them. What’s next for the Ada Initiative in 2015? Now that the Executive Director search is over, we can continue to grow the Ada Initiative’s staff with the goal of meeting the demand for our existing programs, including AdaCamps, Ally Skills Workshops, and Impostor Syndrome Training. Several new positions will probably open up over the next year, so if you have always wanted to work for the Ada Initiative, now is the time to start polishing your résumé! After we’ve ramped up our existing programs to match demand, we will investigate developing new programs and training, such as a much-requested workshop on how to handle harassment reports. We are excited to see what we can do! Thank you to everyone who contributed to our Executive Director search! Thank you first and foremost to our two search committee chairs, Sumana Harihareswara and Mary Gardiner, and to our search consultant. Thank you to the rest of our search committee and our board of directors, who put in many hours of work into the process. Thank you to our advisors and everyone who spread the word about the position. Thank you to everyone who applied (all of the more than 130 of you – we’re so flattered!). And thank you to our donors and sponsors, each and every one of you, who make our work to support women in open technology and culture possible. We couldn’t do it without you! This entry was posted in Ada Initiative news on March 19, 2015 by Ada Initiative.